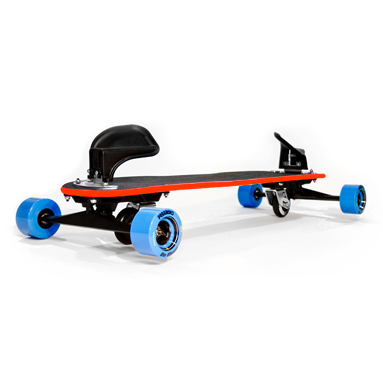 Freebord's Pro performance package takes your ride to the next level, with everything you need to ride plus Freebord’s new 78mm Da Blues edge wheels. Fueled by rider progression and tested by Freebord’s Pro Team, Da Blues are the highest performance wheel in our lineup. Their custom shape, custom urethane and 45mm contact patch provide maximum grip while still delivering a consistent and predictable slide. Freebord’s most durable wheel will elevate your riding no matter what style of rider you are. You will find these wheels under the feet of every Freebord Pro Team rider. All wheels on the Pro Package are poured in California. Package Includes: G3 deck, two G3 trucks, four Freebord 78mm Da Blues edge wheels, two Freebord 72mm center wheels, S2 bindings, Hardware pack & Hangtag.